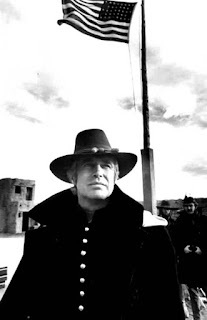 While the early 1970s were the time of revisionist and often gory Westerns, when former heroes were being debunked and shown as the bad guys (the US Cavalry in Soldier Blue, Wyatt Earp in Doc and Billy the Kid in Dirty Little Billy) the big studios were still trying, against all the odds and in a declining market, to produce ‘mainstream’ Western movies for the theaters. And, in the case of those big commercial John Wayne oaters such as Chisum, Big Jake or The Train Robbers, they were succeeding too, on a box-office level. But in all honesty, some of the ‘straight’ Westerns of the early 70s were pretty stodgy. One More Train to Rob is not The Train Robbers, and a very far cry from some of those classy Universal oaters of the 50s and 60s. Bring back Audie, all is forgiven. It was an AV McLaglen picture. 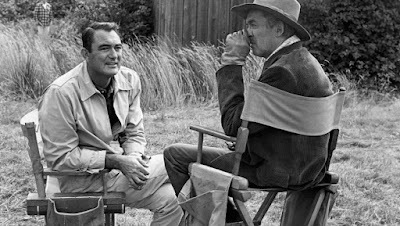 Now, with the best will in the world (and you know I have that, hem hem) Mr. McLagen could not be accounted among the top directors of Western movies. He was OK on TV shows – 96 episodes of Gunsmoke to his credit and 116 of Have Gun – Will Travel, so respect there, but as for features, they were lackluster at best. They started in 1956 with Gun the Man Down, a James Arness vehicle, pretty well a spin-off from Gunsmoke and with all the look of a TV movie, and he worked with his pal John Wayne and with James Stewart, but on some of their very worst Westerns, such as the unfunny McLintock! with Wayne and the perfectly dreadful The Rare Breed with Stewart. Westerns with other stars, such as The Way West with Kirk Douglas, Robert Mitchum and Richard Widmark, were disappointing, even flops. Bandolero! with Stewart again and Dean Martin, was weak, Something Big with Brian Keith was something of a big yawn. Really, McLaglen Westerns were on the whole pretty second-rate. This one, One More Train to Rob, starred George Peppard. Surprisingly perhaps for an actor who made a career of action roles, Peppard only did five Westerns. We’ve reviewed the others, How the West Was Won, Rough Night in Jericho, Cannon for Cordoba, and the TV movie The Bravos, so click the links if you want to read about those. In this one he is Harker Fleet, professional train robber. The movie goes for comedy (but comedy Westerns are notoriously difficult to get right, and McLagen didn’t) and Peppard’s style did lend itself somewhat to comedy, with all those flip comments and so on. The A-Team was nothing but action-comedy, really. The rest of the cast was hardly stellar. John Vernon plays the bad guy, Timothy Xavier Nolan, with a heavy ‘Irish’ accent. You know Vernon, from Dirty Harry and Point Blank. 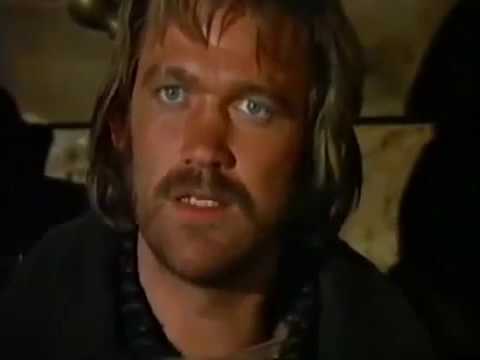 In Westerns he was the evil Fletcher in The Outlaw Josey Wales, and Hacker in Tell Them Willie Boy is Here, and he made appearances in a number of Western TV shows. He’s OK, I reckon, in One More Train, in a charming-rogue role that a few years before would have been tailor-made for Robert Preston. 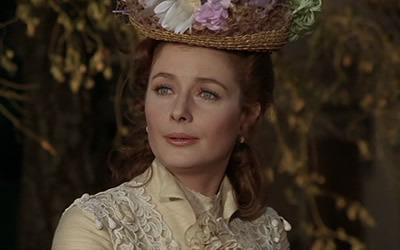 The leading lady was Diana Muldaur. Who? Well, apparently, Ms. Muldaur was the president of the Academy of Television Arts and Sciences (the outfit handing out the Emmy awards) in the 1980s. This was her only big-screen Western. She tries, I think, for a Maureen O’Hara approach. You will be the judge of whether she succeeds. Otherwise, we have Robert Donner and John Doucette as sheriffs, so that’s something. Our old friend Marie Windsor is there. 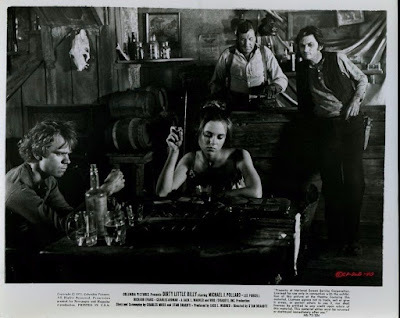 Stuntman-director-writer Hal Needham (Smokey and the Bandit) has a role and, though he is sadly very soon written out (we are told he spent his share of the loot on a ranch in Wyoming), Harry Carey Jr. is one of the train robbers. It was the last film of Lane Chandler (as ‘Party guest, uncredited’). All in all, though, these names aside, the cast is a bit ho-hum. It’s one of those plots where everyone is constantly double-crossing everyone else and indeed it’s quite hard to keep up at times. There are double, treble and quadruple crosses. Hidalgo Wells, New Mexico. 1870s-ish, I guess. We are told at the start that the train Peppard is about to rob is due at 3:10 (in-joke for Westernistas) and he leaves the arms of Katy (Muldaur) to hold it up. There’s an amusing little boy on the train who is delighted when it’s robbed. “Hot diggedy, it’s a hold-up!” though he is very disappointed when the robbers don’t shoot anyone. 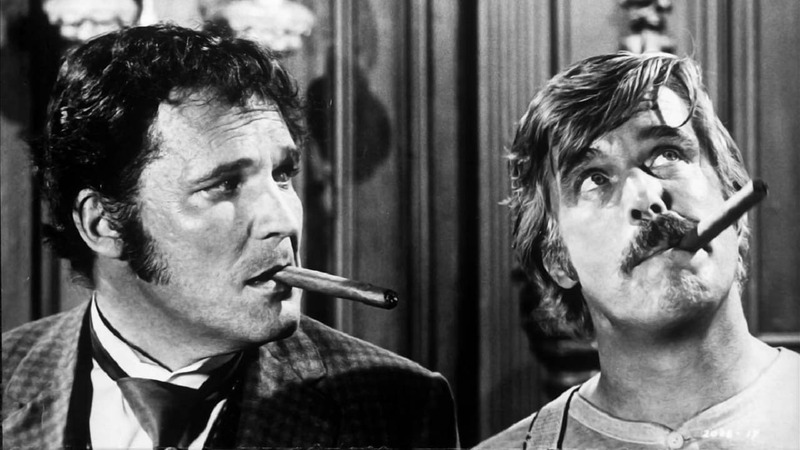 When Fleet (Peppard constantly chewing his trade-mark cigar) gets back to Katy, to re-establish his alibi, they are interrupted by the Jones brothers (actual brothers Merlin and Phil Olsen) who ‘invite’ Fleet to a shotgun wedding to their pregnant sis Cora Mae (Pamela McMyler). Because Fleet resists, rather forcefully, he ends up not only married but also doing a three-year stretch for assault. While he is ‘away’, Nolan marries his girl Katy and makes himself the richest man around with the train loot. Three years later. 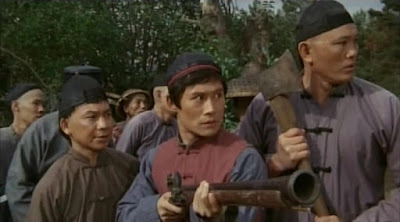 Fleet has just been released (early for good behavior) when he sees a Chinese mine where the elder, Mr. Chang (Richard Loo) is just loading up gold in a wagon, escorted by local deputies. But before he can rob it, other bandidos beat him to it, and the deputies are in cahoots. The robbers have been tricked, though, for there are only rocks in the strongboxes. They abduct Mr. Chang, to get him to talk. Of course it soon turns out that these highwaymen are employees of Timothy Nolan. Fleet rescues Chang and does a deal with him (but double-crosses are the order of the day, remember) and highly complex plot developments ensue, which you may or may not have the patience to follow closely, and it all climaxes in a big shoot-out in the rail yard augmented by explosions from Chinese fireworks/grenades. Spoiler alert (though not really as you see it coming in the first reel): Nolan dies and Fleet gets his girl back. Well, doubtless some of the audience found all this hilarious and/or exciting. I just found it all rather bland. It's not bad exactly. I suppose if you wanted to be generous you could say it’s harmless fun. 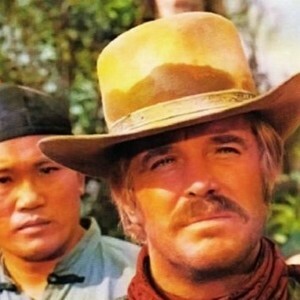 The Bravos was an early-70s made-for-TV cavalry Western which starred George Peppard and Pernell Roberts. Peppard, often cast in undemanding action roles, only did five Westerns, perhaps surprisingly (you would have thought the genre ideal for his style). His first was MGM’s mega-turkey How the West Was Won in 1962; then he was quite good in Rough Night in Jericho (with Dean Martin) in ’67; Mirisch’s paella Cannon for Cordoba, which I reviewed the other day, came next; the very mediocre AV McLaglen-directed One More Train to Rob (to be reviewed soon) followed in 1971; and finally The Bravos, his last foray in the genre, and his only Western for TV. It wasn’t actually a very glittering Western career. Still, he had a tough-guy air about him and didn’t do badly as the cavalry commander posted to New Mexico Territory to fight the Navajo. 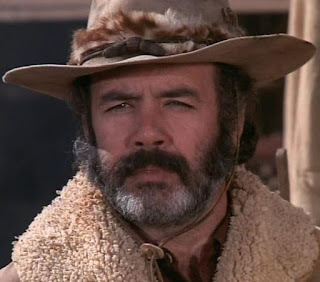 Roberts was of course in his element on the small screen, having been Adam Cartwright on Bonanza until 1965, when he could stand it no more, then later Trapper John, MD. He did do the occasional Western feature, being especially good as the bad guy in Ride Lonesome with Randolph Scott and also quite memorable as an evil gunman in The Sheepman with Glenn Ford (he did bad guys quite well) but really he was a TV Western actor. Unfortunately, his part in The Bravos is very one-dimensional and didn’t give him much scope. Major Harkness (Peppard) is beleaguered in his fort, short of supplies and men. His boss back at Fort Stanton will only send bureaucratic papers, not anything useful like reinforcements or ammunition. The Navajo are dangerous foes. Meanwhile, a wagon train of settlers out of Independence is being led by dictatorial but incompetent ‘Captain’ Buckley (Roberts), who kills three young Indian boys in a trap and thenceforth thinks it’s easy and the Army isn’t doing its job. One of the settlers, Raeder (Bo Svenson, latterly in Inglourious Basterds and Kill Bill but Westernwise mostly confined to TV, including being Colonel Jeb Quintano in Lonesome Dove, the series) understands how foolish Buckley is and bravely sets out alone to Harkness’s fort to get help, succeeding but only just. Major Harkness rides out and rescues the settlers, bringing them to the (relative) to the safety of the fort. Harkness is the classic ‘man who knows Indians’, beloved of Westerns, and he sees that it was Kiowa that were attacking the wagon train, not Navajo. The Kiowa are even more fearsome, we are told. Their chief is Satanta (Joaquín Martinez, parts in Joe Kidd, Jeremiah Johnson, Zandy’s Bride and Ulzana’s Raid) and he wants revenge on Buckley for murdering those three young braves. Now, Satanta appeared a fair bit in Western movies. Jay Silverheels played him in War Arrow, and Stuart Randall did the job in They Rode West. Larry McMurtry’s Blue Duck was in some ways based on Satanta. Actually, in real life, Buffalo Bill was once captured by Satanta. Bill managed to persuade the chief that he was on a mission to get cattle to be issued to the Kiowas, and this worked for a time, until the Indians saw no cattle but instead saw Bill high-tailing it for Fort Larned. They pursued him and were gaining but he came up with a party from the fort who drove the Kiowas off, killing two. And talking of the real Satanta, or Set'tainte, also known as White Bear (c. 1820 to 1878), he was born the son of Chief Red Tipi and a Mexican captive. 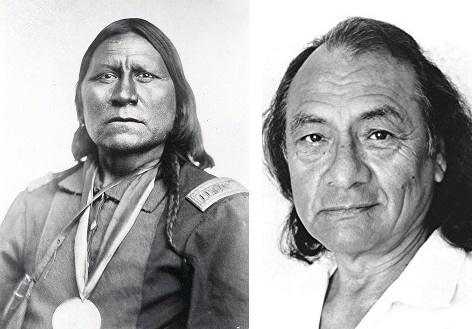 He developed a reputation as an outstanding warrior and in his twenties was made a sub-chief of his tribe, under Dohäsan, with whom he fought at the first battle of Adobe Walls in 1864. He signed a series of treaties, notably the Medicine Lodge Treaty of 1867, but neither side respected the provisions. In 1871 Satanta led several attacks on wagon trains in Texas. He was arrested by General Sherman and, with fellow chief Satank, put on trial for murder, the first chiefs to be so tried. He was found guilty and sentenced to death, commuted to life in Huntsville State Penitentiary. He was released on parole after two years. Satanta was present at the fight with buffalo hunters at 2nd Adobe Walls in 1874 (where young Bat Masterson made his name), which violated his parole, and he was returned to Huntsville. There he committed suicide in 1878 by throwing himself from an upper window (it was said by some, trying to fly, like Blue Duck). In The Bravos, though, he is just another generic Indian chief to be defeated by the brave boys in blue. The fort, by the way, is a nice adobe one (perhaps a nod to Adobe Walls), not the usual wooden toy fort Hollywood liked. I’m not quite sure where it was, though most of the locations (very nice they are too) are around Sedona, AZ, with those classic red-orange rocks. 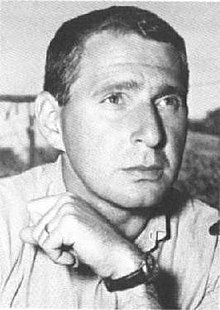 The DP was Enzo Martinelli, who worked on over a hundred Westerns, big-screen and small, from 1946 to 1974, so respect, dude. There’s a young couple of settlers (Belinda Montgomery and Barry Brown) who provide a modicum of love interest, I suppose, but both are rather silly and could have been dispensed with. Now the young son of the major arrives, Peter (Vincent Van Patten). He has been expelled from his Eastern school, where he was sent when his mother died and his dad couldn’t look after him on the wild frontier. The young man is angry and rebellious. Former tennis pro Van Patten (he once beat John McEnroe) was the bionic boy on The Six Million Dollar Man. I tell you this on a need-to-know basis. 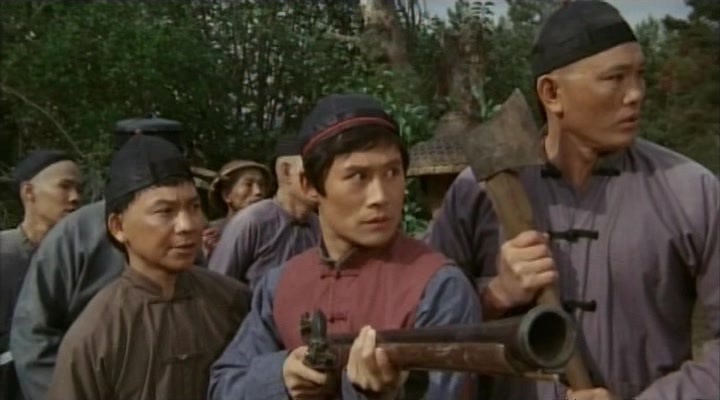 He was in a few Western TV shows, and he was the kid who befriends Charles Bronson in the lousy Chino, his only big-screen oater. The lad manages to get snatched and abducted during an attack on the fort by the Kiowa, and so a rescue mission has to be mounted. Three intrepid characters set out to recover the youth from the mountain fastness of Satanta. They are his dad, of course, the brave and resourceful major; Raeder the Swede (he has done a deal: save the boy and we will forget the wanted poster and $600 reward); and highly-skilled Army scout Ben Lawler, played, oh good, by LQ Jones. LQ was a hardened Western vet, of course, by this time, having started off in our noble genre as far back as some episodes of Cheyenne in 1955, and he had been fabulous in The Wild Bunch for Sam Peckinpah in 1969 with Strother Martin. Anyway, you may imagine with what daring and courage the trio now act. The Kiowa don’t stand a chance. The director was Ted Post, mostly a TV director, especially Gunsmoke and Rawhide, but he did the occasional feature Western too, such as Hang ‘em High. The movie was written by Christopher Knopf, who also specialized in TV Westerns, especially Zane Grey Theatre and Cimarron Strip, but who also worked on Posse (the Kirk Douglas one), and Joel McCrea’s The Tall Stranger. A .50-70 Government plays an important part. It’s not a bad movie, actually. I have definitely seen worse. Webster’s defines bravo as villain, desperado or hired assassin, so I’m not quite sure who the bravos of the film’s title were. Never mind. When reviewing Cannon for Cordoba the other day I made a few general remarks about the Western movie in the early 1970s. 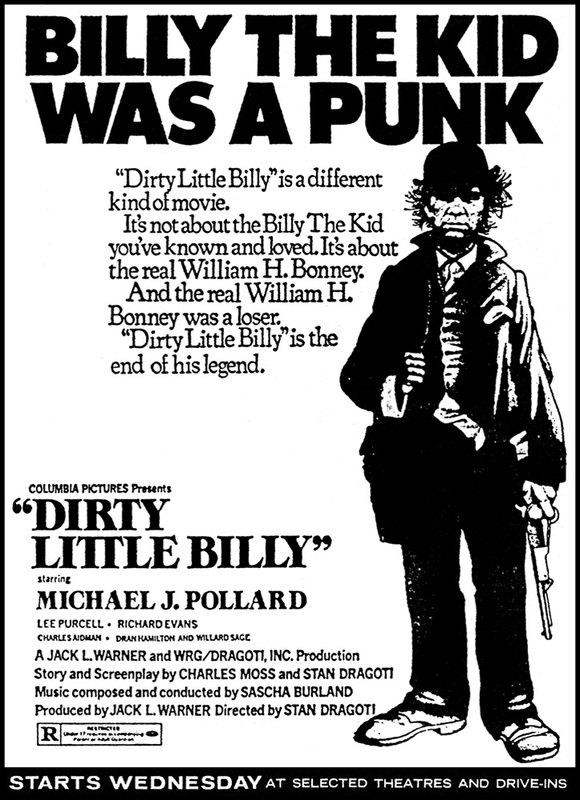 Dirty Little Billy is in many ways a classic example of the genre at this time. It has a lot in common (consciously or not, I don’t know) with Doc, of the previous year. Doc, also released by United Artists, had done a complete hatchet job on Wyatt Earp, portraying him as a corrupt, cowardly and pretty loathsome figure. Now it was Billy the Kid’s turn to be debunked. The pictures both also stressed the dirt, mud and squalor of the environment, with much very dark interior photography, and they had Altman-esque ‘naturalistic’ dialogue, with people mumbling, talking over each other and so on. 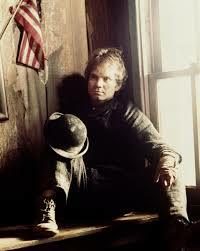 Neither picture, however, had anything like the artistic quality of Altman’s McCabe & Mrs.Miller. 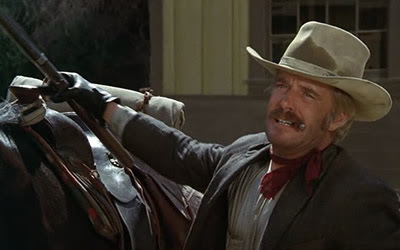 Having said that, although I don’t much like Dirty Little Billy as a Western movie, I do think it is quite a key moment in the history of the genre. If you wanted, you could say it signaled the decline of the form. Of course there were some good Westerns to come later in the 70s (The Shootist in 1976 is a prime example) and John Wayne was still making his big commercial oaters all through the first half of the decade which retained mainstream popularity (Chisum, Big Jake, The Train Robbers and so on) but it is fair to say that successful and big-budget Westerns were now in the minority. Even Western TV shows were being canceled. Westerns seemed to have less and less to say to the great American public. Dirty Little Billy concentrates on the outlaw’s youth, in Coffeyville, Kansas. I don’t quite know why as there is no evidence, or even suggestion as far as I know, that the family tried to settle in that town, later to be famous for the götterdämmerung of the Dalton gang. It seems that the McCartys went from New York to Wichita, then Denver and thence into New Mexico, settling in Silver City. It doesn’t matter. It’s only a movie. Many of the characters in it are fictional anyway. What do you want to do in life? Nuttin. They left NYC in 1870 (there is a record of them in Wichita then) when Billy, son of Catherine and step-son of Henry McCarty, was probably only eleven years old (he was almost certainly born sometime between September and November 1859). Pollard was actually 33 at the time the movie was made, so it's stretching credibility somewhat. In common with most actors playing the homicidal teenager, there was little adolescent about him (of famous screen Billys, Audie Murphy and Johnny Mack Brown were 26 when they played him but Bob Steele was 34, Kris Kristofferson 37 and Buster Crabbe 38; Franklyn Farnum was 47!) though it must be said that Pollard was very baby-faced and could just about get away with it. 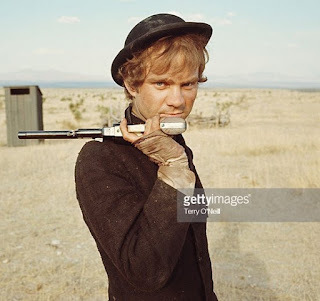 Pollard had become famous in Bonnie and Clyde in 1967 but as far as Westerns are concerned he had first appeared in an episode of Gunsmoke in 1964, then some other TV shows, and first done a big-screen oater in 1971, a Eurowestern with Brigitte Bardot and Claudia Cardinale. So Dirty Little Billy was only his second, and his first (and last) as star. The only other Western feature he appeared in was a dire spaghetti in 1976, Four of the Apocalypse. So we can hardly account him a specialist. In Dirty Little Billy he goes for a very mannered performance, constantly smirking, grimacing, rolling his eyes, looking off into space, and so on. This Billy is supposed to be “not all there”, a bit simple, even touched. The real William Bonney was evidently not like that at all. Actors on set (Pollard far left). Rather a good photograph actually. We open with Billy, his mother (Dran Hamilton) and step-father (Willard Sage) descending from a train in Kansas, walking through a quagmire and buying or renting a ratty farm from a certain Dan Antrim (Charles Aidman), who is said to own half the town. All the buildings are very squalid and dilapidated. All the characters are absolutely filthy. Billy and his step-father detest each other. “You were a bum in New York and you’re a bum here,” McCarty tells him (both he and his wife have rather heavy and fake “Oirish” accents). In a key moment Antrim asks Billy what he wants to do in life. “Nothing,” is the reply. Eventually Billy leaves, goes into town and sees a man stabbed to death in the muddy street. He takes up with a highly disreputable and violent man, Goldie (Richard Evans, a regular on Western TV shows) and his woman, Berle (Lee Purcell, recently in JL Ranch). Goldie abuses the girl and prostitutes her, living off the proceeds. Their base is a saloon, but it is no grand palace. Far from it. It is a dump (very reminiscent of the low dive where Doc Holliday meets Kate Elder in Doc). It is presided over by the genial Jawbone (Josep Elic) and the only other customer is a drunk, Charlie (Ronny Graham). Much of the action takes place here, with a lot of talking (or rather mumbling). There’s a flurry of action when a card game with a buffalo hunter (Craig Bovia) descends into violence over a stupid insult (the hunter calls Billy dumb), Goldie takes offence and pulls a pistol, one of those giant Civil War ones, and half the shots misfire and the other half miss, which is all quite realistic (although one accidentally hits Charlie in the head). You feel the director went for ‘realism’, though how authentic it all is, well, that’s very much open to question. 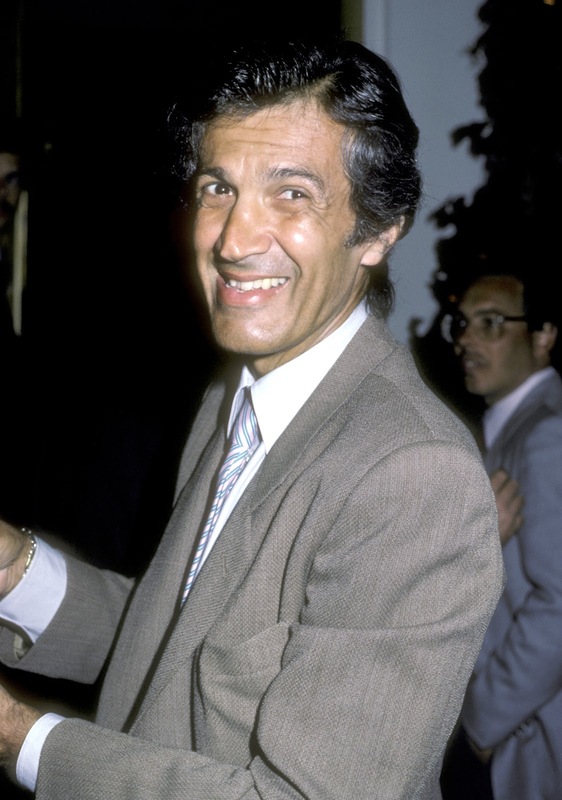 The director and co-writer was Stan Dragoti, not someone I knew. Apparently he was a director of TV commercials, and co-writer Charles Moss (this was his only movie credit) was also a Madison Avenue man. Dragoti was certainly influenced by Robert Altman and Frank Perry (the director of Doc) but I’m not sure he was quite in the same league. This fracas is followed by a vicious knife fight between Berle and the buffalo hunter’s woman (Rosary Nix) which Berle wins by cutting the other woman’s ear off. Blood, mud and nihilism are the order of the day. All those very low-light interiors must have been challenging for cinematographer Ralph Woolsey, a Warners regular who reached the heights of being nominated for (though not winning) a Daytime Emmy for an episode of 77 Sunset Strip - fame indeed. He was behind the camera on episodes of most Western TV shows at one time or another and also shot the 1965 Rory Calhoun oater Black Spurs (which I must get round to reviewing). I found the score rather irritating. It seemed to be low-grade circus music. Sascha Burland was the guilty party. 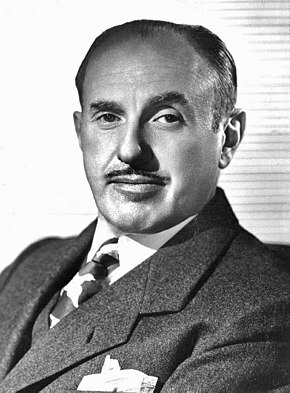 The movie was one of the last productions of Jack L Warner. After he sold Warner Bros. to Seven Arts, he produced two pictures, 1776, the film version of the Broadway musical comedy, and Dirty Little Billy, before retiring. The townsfolk, led by Antrim, have finally had enough and want Goldie and his woman gone. Antrim (who is now sleeping with Billy’s mother; actually, he and Catherine McCarty seem to have been married, or together, well before, and Billy used the name Antrim at times) does a deal with Goldie: he may ride out unmolested if he goes next day. 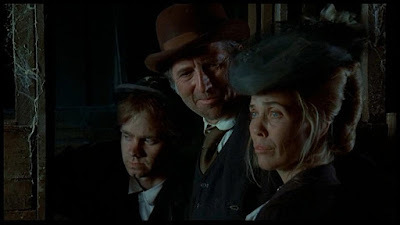 But the townsmen (one is Nick Nolte in his debut) have other ideas and try to murder them as they leave (Goldie riding and his woman walking). They succeed with Berle, who lies shot to death in the quaggy street, but Goldie, accompanied by a scuttling Billy, gets away. The final scene takes place up in the hills (there are some nice Arizona and New Mexico locations when we finally get out of that damned saloon) when they try to join up with a gang of rustlers led by Big Jim McDaniel (Severn Darden) and once again it all explodes into violence, with Billy finding that he has a talent for killing. He and Goldie plunder the corpses and set off, presumably for the life of crime for which Billy the Kid will become famous. That’s it. It’s all pretty grim, though there are attempts at dark humor. The publicity slogan for the movie was BILLY THE KID WAS A PUNK and the way Pollard portrays him there’s no doubting that. Maybe it was a necessary corrective, after all those knight-in-shining-armor Billys there had been, the ultra-goodies played by Roy Rogers & Co. William Bonney was after all, a pretty nasty homicidal teenager who probably got the fate he deserved. Still, this one is a bit over the top. The movie is certainly also too slow and, even at only 93 minutes, too long. It’s not my cup of tea, though I am glad to have seen it once anyway. As I said, it was at least a kind of two-bit milestone on the trail of that wonderful and noble monument to American culture, the Western movie. By the early 1970s the Western movie was in full decline. An overstatement, perhaps, but largely true. Yes, Fox's box-office hit Butch Cassidy and the Sundance Kid and that great Western, Warners' The Wild Bunch (both 1969) had recently come out, and some fine Westerns were still to be made (one thinks, for example of The Shootist in 1976) but by 1970 the revisionist Western was already in full flow. That was the year of Soldier Blue, and soon Doc (1971) would debunk hero Wyatt Earp and Dirty Little Billy (1972) would do a hatchet job on Billy the Kid. Vietnam was having an influence, with massacres and cynicism becoming usual, and, well, the Western didn’t seem to have anywhere to go. Even TV Western shows were being canceled. 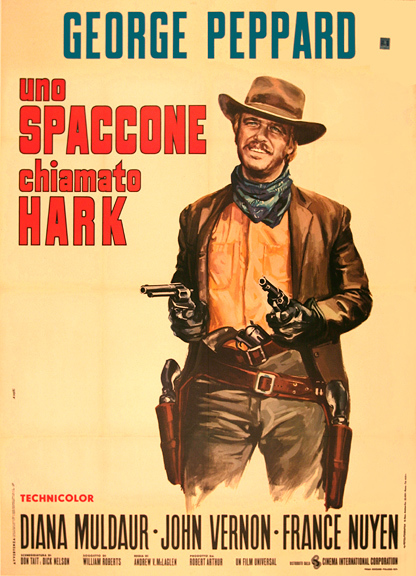 In theaters, the Italian Western (or western) had diverted or even perverted the true form of the genre; yes, spaghettis were fading by 1970/’71 but they had a big impact on American Westerns. Take Lee Van Cleef in Barquero (1970) as an example. The made-in-Spain oater was becoming the norm. Even classy Westerns such as Valdez is Coming (1971) were shot in Almeria and very many lower-grade pictures were too. Walter Mirisch (left) was one of the great producers of the heyday of the Western. 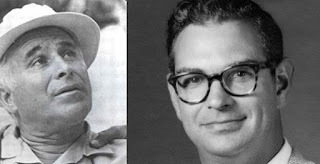 In fact, Walter and his brothers Marvin and Harold were together one of the most successful producing teams in Hollywood history. They would produce such huge 60s hits as Some Like it Hot, In the Heat of the Night, West Side Story, The Great Escape and The Pink Panther but as far as proper films go (i.e. 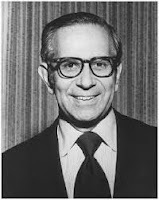 Westerns) the Mirisch name deserves endless credit for The Magnificent Seven. Walter started as a producer for Monogram back in 1949 on very low-budget stuff. Once Monogram merged into Allied Artists (Mirisch was one of the prime movers of that deal) he would move upmarket, producing Wichita with Joel McCrea in 1955, the first of six oaters he did with Joel (The Gunfight at Dodge City in 1959 would be the last) and he would also work with Gary Cooper. So he’s a major figure in our beloved genre. It says a lot that the company of the producer of major A-Westerns such as Man of the West and The Tall Stranger should, by 1970, be putting out a paella western. But Mirisch had been milking The Magnificent Seven with weak sequels and, Westernwise, didn’t seem to know where to go. Cannon for Cordoba is the Nth gringo-in-the-Mexican-revolution movie. We are in 1912, when, the screen text tells us, the US was suffering from “raids of Mexican bandit hordes”. I suppose the reference was to the March 1916 attack by a hundred of Pancho Villa’s men on Columbus, New Mexico. Villa at that time needed more military equipment and supplies in order to continue his fight against Carranza. The Villistas attacked a detachment of the US 13th Cavalry Regiment, burned the town, and seized a hundred horses and mules and other military supplies. Eighteen Americans and about 80 Villistas were killed. Something similar happens in the opening of Cannon for Cordoba, though it’s not Villa but (fictional) revolutionary General Hector Cordoba (Raf Vallone). 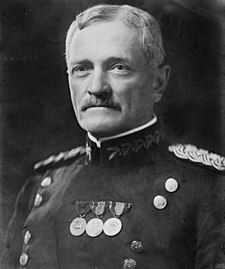 US President Woodrow Wilson responded to the Columbus raid by sending 10,000 troops under Brigadier General John J Pershing to Mexico to pursue Villa in the so-called Punitive Mexican Expedition. The attack penetrated 350 miles (560 km) into Mexico but was eventually called off after failing to find Villa, who had successfully escaped. 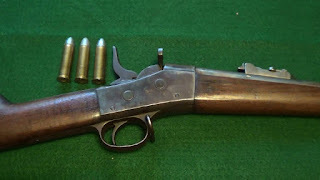 In the movie Pershing is in Columbus (or the fictional town anyway) at the time of the attack and though he shoots numerous Mexicans (Pershing was in fact a crack shot) a young captain has to rescue him by throwing him off the train carrying the cannon, which now fall into Cordoba’s hands. Pershing is played by the great John Russell, Lawman on TV in 1958, Nathan Burdette in Rio Bravo, superb late in his career as Marshal Stockburn in Pale Rider, and very many other Westerns, bi-screen and small, to his credit as well. The young captain is headline star George Peppard. Peppard, an actor who, as the IMDb bio puts it, was “too often cast in undemanding action roles”, only did five Westerns, perhaps surprisingly. His Western debut was in the mega-turkey How the West was Won in 1962, he was good however in Rough Night in Jericho in 1967 (also Dean Martin’s best Western) but after that it was only this paella, AV MacLaglen’s second-rate One More Train to Rob and finally a TV movie with Pernell Roberts, The Bravos. It’s hardly a spectacular or glittering Western career. Still, he’s OK as the tough and daring commander of an anti-Cordoba expedition. The picture was directed for Mirisch by Paul Wendkos. Put under contract by Harry Cohn at Columbia, he helmed the Fred MacMurray Western Face of a Fugitive for the studio in 1959, but was better known for teen movies and TV shows. In 1968 he signed a five-picture contract with Mirisch, and directed two Westerns set in Mexico but filmed in Spain, Guns of the Magnificent Seven (the one with George Kennedy as Chris) and Cannon for Cordoba. It was written by Stephen Kandel, a TV writer (especially Iron Horse) and the picture does have the air of a TV movie. It’s pretty derivative and unoriginal. Pershing gives Capt. Peppard the dangerous mission of going down into Mexico in plain clothes to Cordoba’s mountain lair, destroying the stolen artillery and bringing the revolutionary leader back alive for trial. The captain assembles his team and of course succeeds. It’s The Professionals redux really, with bits of Where Eagles Dare and The Guns of Navarone thrown in. In the first reel an American soldier is tortured to reveal where the train carrying the cannons will be going, and when. Peppard and one of his sidekicks, Jackson (Don Gordon, Delgetti in Bullitt) witness this and the tortured man is Jackson’s brother but the captain will not intervene to save him as this would blow their cover. Jackson vows revenge on the ruthless captain. The torture is supervised by a European officer, and it seemed that all Mexican revolutionaries in movies had to have such a military adviser, usually Prussian. This one is a Swede, Svedborg (Hans Meyer) but he’s just as ruthless and sadistic as the German officers in 100 Rifles, Border River, Bandido!, The Wild Bunch, ¡Three Amigos!, etc. Meyer was South African but born into a German farming family, so maybe that was Prussian enough. The general isn’t that bloodthirsty but still countenances torture and orders the unfortunate to be shot afterwards, so that isn’t very nice. The revolutionary will come to a sticky end, doubtless. Vallone was actually Italian but to Hollywood, hey, Latin’s Latin, right? He’ll do for a Mexican. 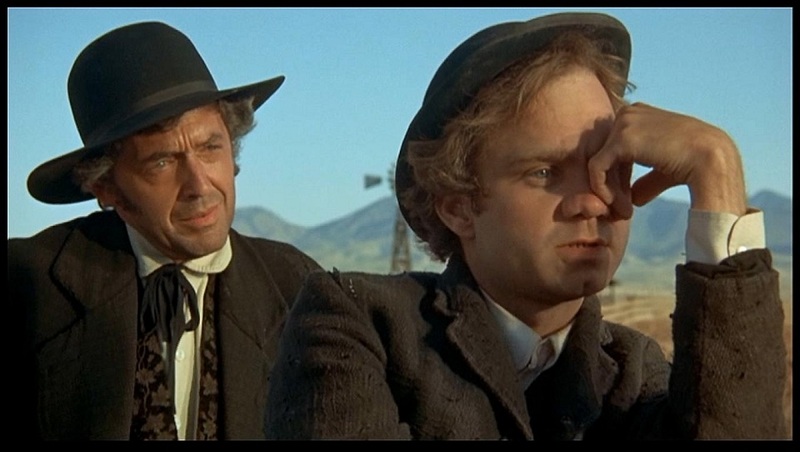 Vallone didn’t really do Westerns, though you may remember him as the impresario in A Gunfight and the priest in Nevada Smith. John Larch is there too, as American rancher Warner who has done a sneaky and unAmerican deal with Cordoba in return for a huge land grant. It will do him no good. He will fall under the guns of the very men he was dealing with. 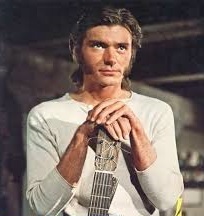 Another of Peppard’s men (he only has three) is Pete Duel. 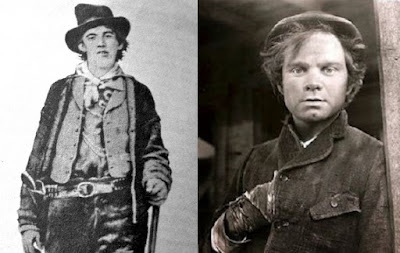 I was waffling on about Duel the other day, when reviewing The Young Country, the pilot to Alias Smith and Jones. He was of course Hannibal Heyes (to start with). A depressive who sought solace in alcohol, he would succumb to what is generally thought to be a self-inflicted gunshot wound the year after this movie. Duel was born Peter Deuel. He said, “People were always saying, ‘Peter who?’ Or ‘Peter O’Toole’? I first took the ‘e’ out of Deuel, and then said to myself, ‘Why not take the 'r' out of Peter and make that a four-letter word, too, to balance the other?” He was named the "Most Promising Male Star" of 1966. It was not to be. In Cannon for Cordoba he strums a guitar (rather badly) and is rather careless of military discipline. He’s one of the stronger actors in this actioner though. The last of the captain’s men is a Greek, Peter (Nico Minardos, who appeared in quite a few Western TV shows, including Alias Smith and Jones). He is a sensitive type and intellectual. He has a presentiment of his own death. It’s quite a small platoon but then I don’t think this was a big-budget affair. There has to be a dame, natch. She was Italian too, glam Giovanna Ralli (this and a couple of spaghettis is all, as far as Westerns go). She was raped by Cordoba and her menfolk killed and now she wants revenge. She will do anything to get it. The music is by Elmer Bernstein, who had of course done The Magnificent Seven for Mirisch. It isn’t a patch on that score though. There’s mucho shootin’ and dynamite throwin’, and some 1970s special effects. Naturally there’s the final showdown between Jackson and his commander in the last reel, but it’s rather a damp squib. I’m afraid it’s all rather ho-hum. 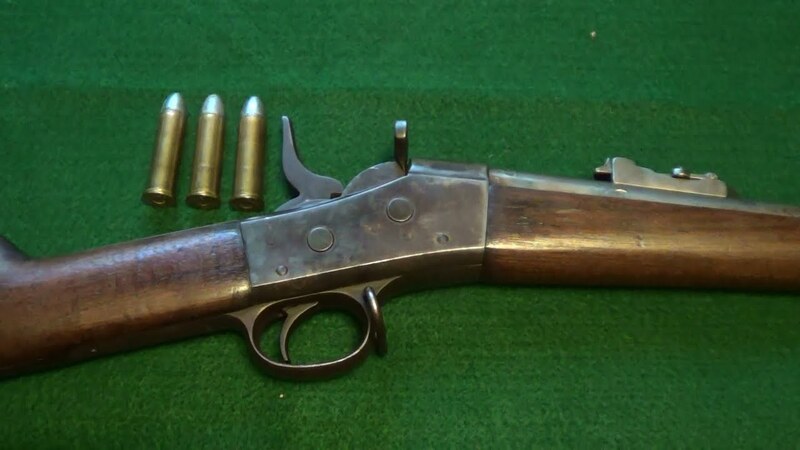 I have seen worse, to be fair, but well, I don’t think this one was ever in danger of getting more than two revolvers. The seventies had dawned. Jeff lives in France. He is author of 'Cabin in the West: the ten New Mexico short stories'. He has also written the first two novels of a planned trilogy, 'Fight Back' and 'Stay and Die'. 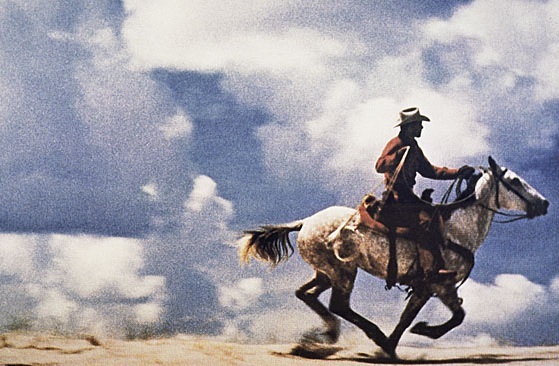 Ten underrated B Westerns really worth watching - type the titles in search box to read reviews! © Jeff Arnold. Simple theme. Theme images by gaffera. Powered by Blogger.